We are very excited to unveil the latest addition to the Park . The new attraction, named the Magic Chair / Y Gdair Hud, will give children the opportunity to shrink their parents in a fabulous optical illusion! The Magic Chair is now open for February Half Term when the Park will be open from 17th– 26th February. We are very pleased to be a new Training Sponsor for Clwb Nofio Bangor Swim Club. Pictured below is the Park’s MD Stephen Bristow along with some of the club’s swimmers during their morning training session. 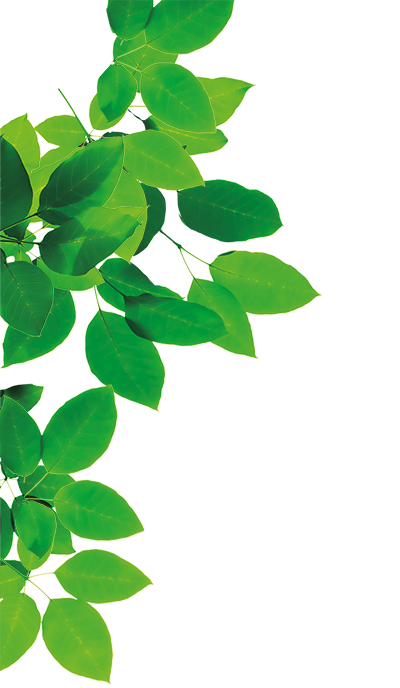 We are very excited to unveil the latest addition to the Park later this month. The new attraction, named the Magic Chair / Cadair Y Gyffwrdd, will give children the opportunity to shrink their parents in a fabulous optical illusion! The Magic Chair is due to be completed in time for February Half Term when the Park will be open from 17th– 26th February. 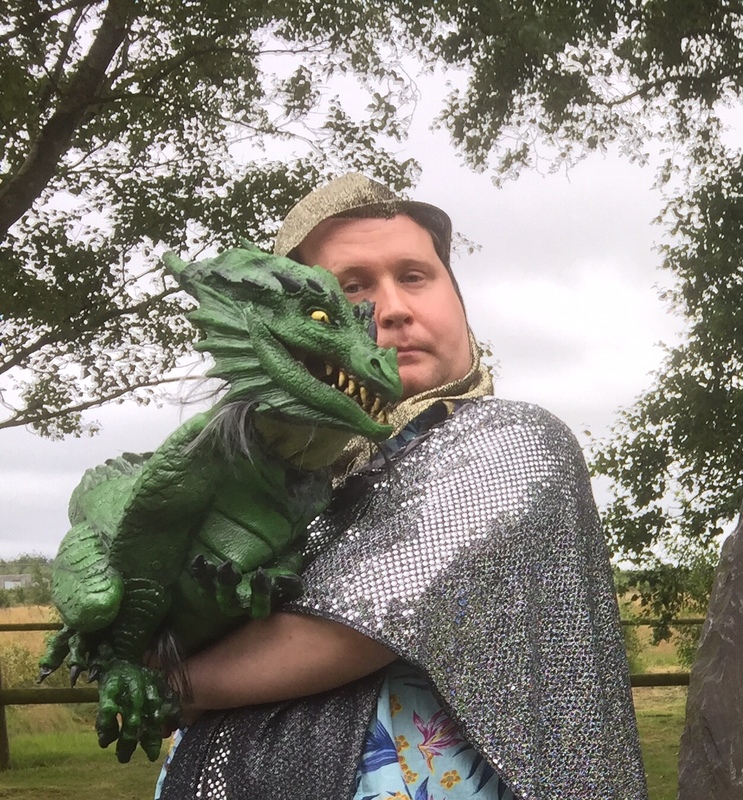 You can become a legend yourself and try out the new optical illusion, where you will be transformed into a real life Welsh Giant, or you can shrink your Parents! Elsewhere on site you can make a splash on the UK’s only solar powered water ride (from 18th March), Jump aboard the world’s first people powered roller coaster (from 18th March) or zoom down the longest sledge run in Wales! 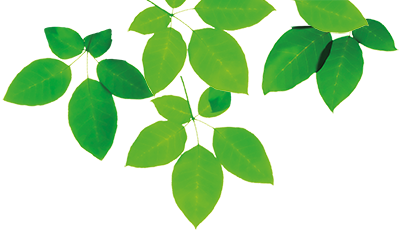 Children will love discovering the super bouncy Giant Jumper, exploring the turrets of TreeTop Towers, taking their shoes and socks off for the BareFoot Trail or aiming for gold at Archery. 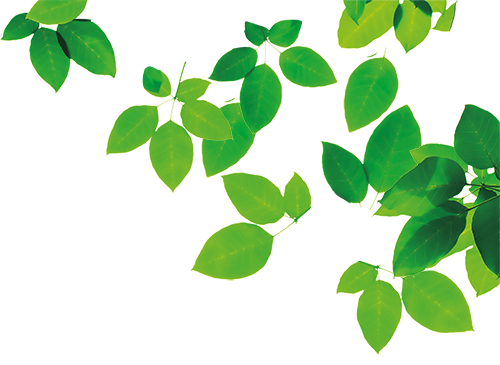 Why not come and find your legend? 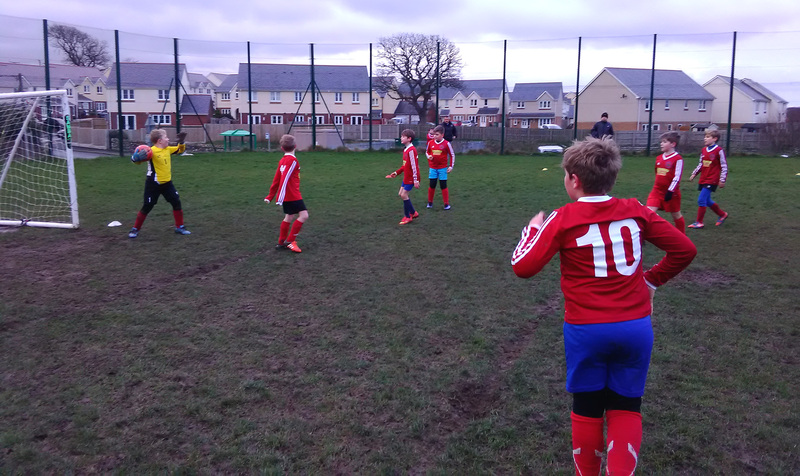 The Y Felinheli under 10’s football club put their brand new kit to the test recently. 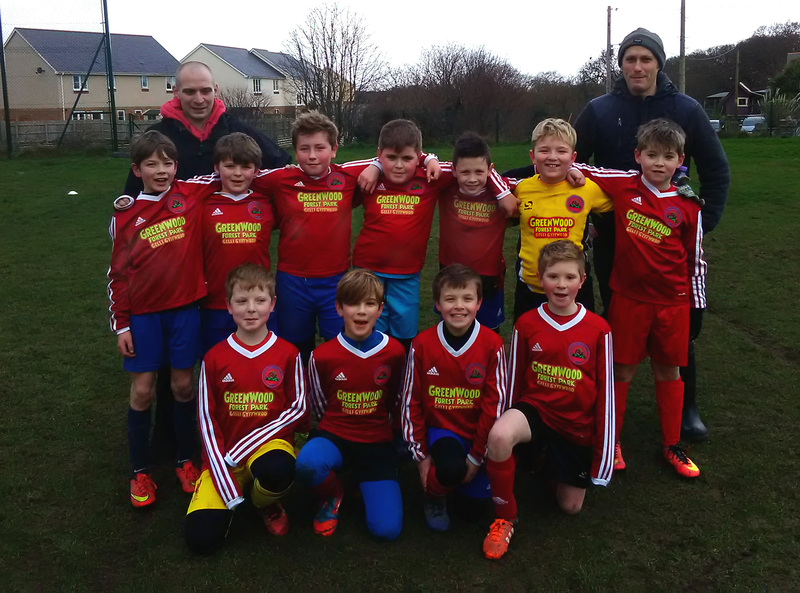 The team are very pleased with their new kits saying “it made them feel like pros!” Best of luck with the rest of the season from all at GreenWood. 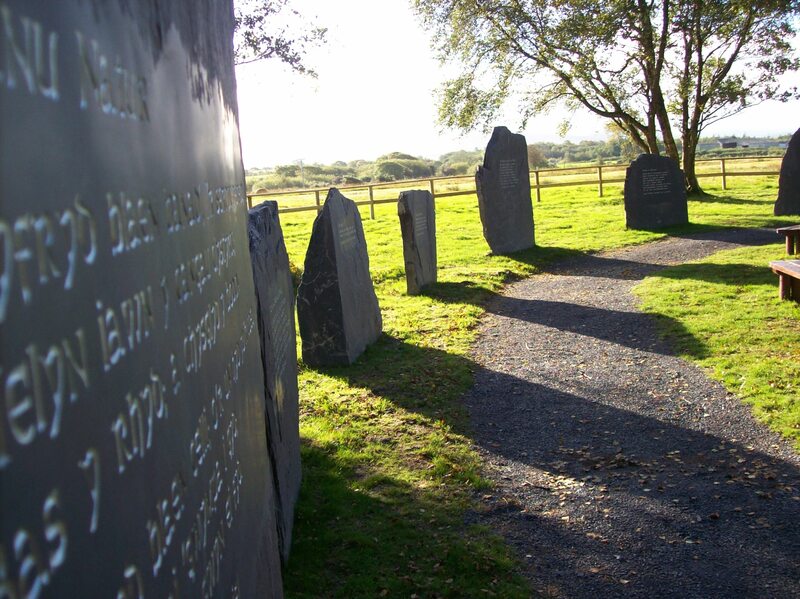 GreenWood Forest Park, Y Felinheli have claimed two awards at the first ever North Wales Tourism Awards. 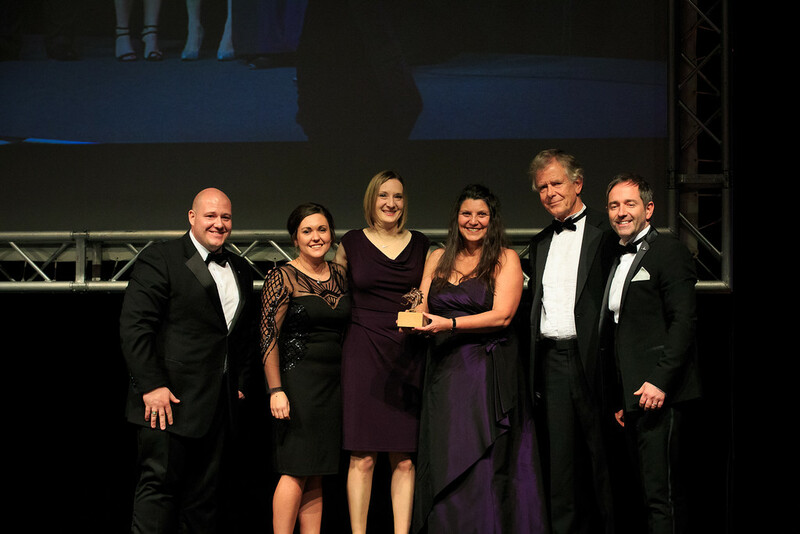 Held in Venue Cymru on 24th November, the evening was a celebration of the best that tourism has to offer in the region. 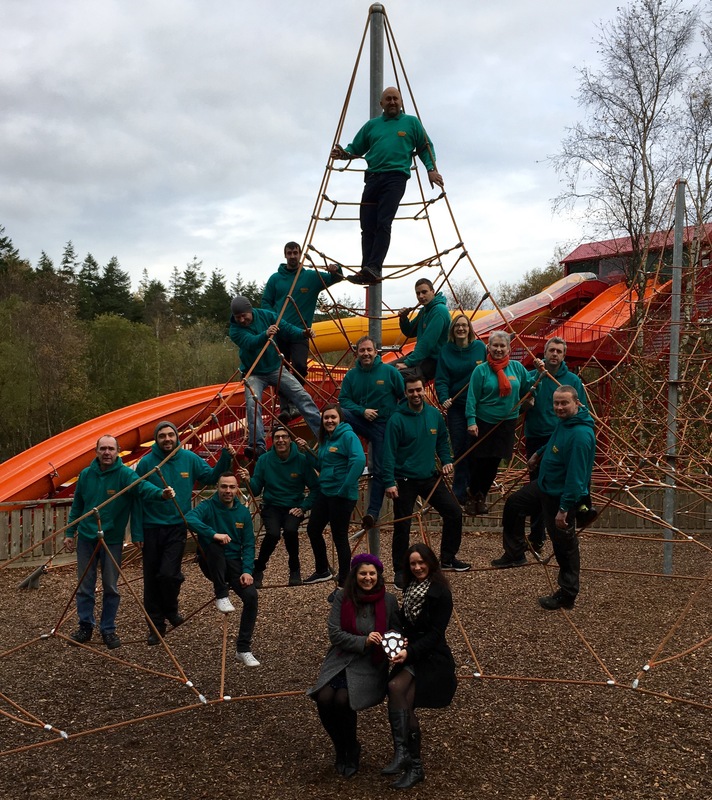 Shortlisted for 3 of the 12 awards, the family adventure Park was the only attraction to scoop up two accolades on the evening. 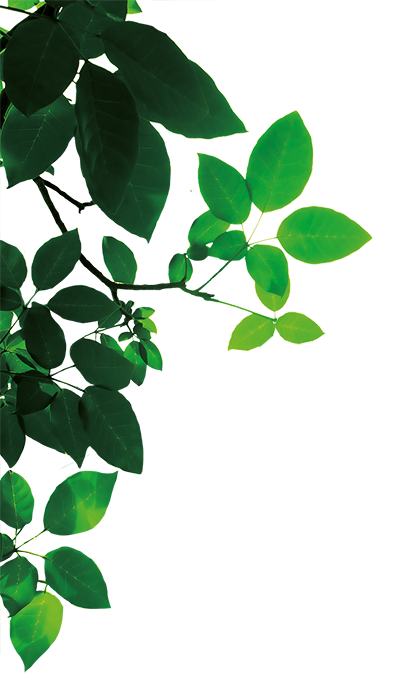 Their first award was the Green Award sponsored by Carbon Zero – since opening back in 1993 sustainability and the environment has always been high on the agenda for the Park. Their second award was the Tourism Business Innovation award for their new ride SolarSplash, which is the UK’s only known Solar Powered Water Ride. 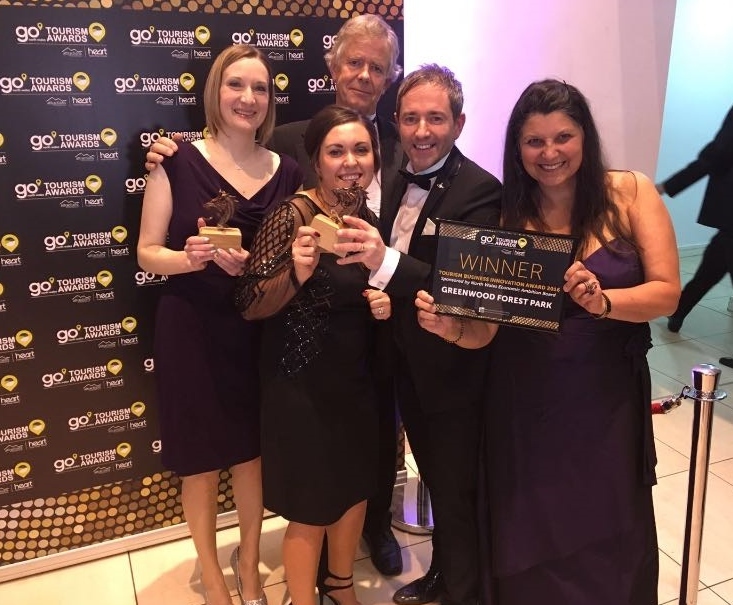 The Park’s Managing Director Stephen Bristow had this to say about winning the awards “We were absolutely delighted to win these awards. To receive public acknowledgement in this way of the huge efforts our staff make to provide our visitors with a great day out is very much appreciated. The Solar Splash has helped us to attract a record 162,000 visitors this year, and to have the ride powered by home produced energy is a good feeling to have”. 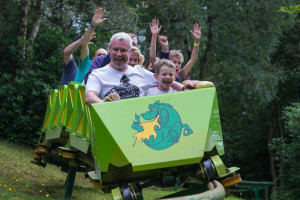 At the end of every season our famous Green Dragon Rollercoaster is taken off the tracks for winter maintenance. Barry the coaster engineer has just worked out some interesting facts…. From the 14th March this year the roller-coaster has done 9766 journeys! 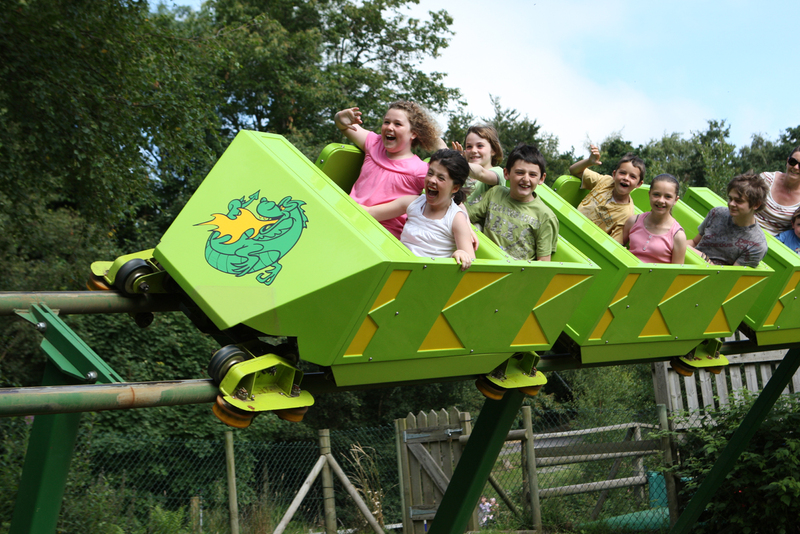 At an average of 17 people per journey that means that the Green Dragon has given 166,000 rides this year! The distance it has travelled is 2392 Km or 1486 Miles! Wow! 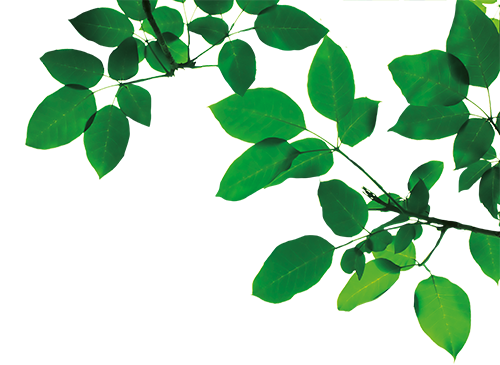 The GreenDragon has definitely deserved its winter break this year and will be roaring back into action next March. 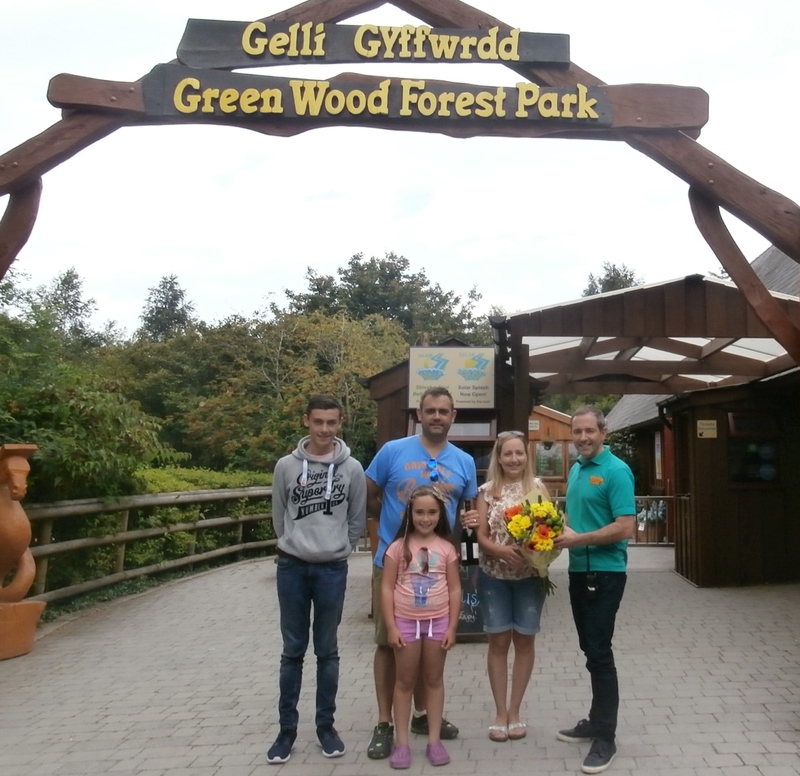 GreenWood Forest Park is delighted to announce that they have won the Family Attraction of the Year award with The North Wales Chronicle for the sixth year running. Voted for by Chronicle readers, the award was presented to GreenWood employees on Tuesday 8th November by Chronicle representative Lisa Shepard. 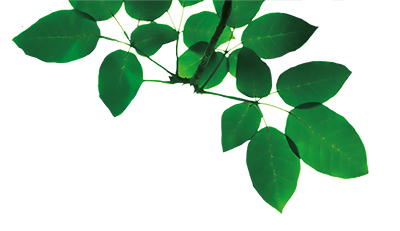 GreenWood Forest Park reached a major milestone today when they welcomed their two millionth visitor. 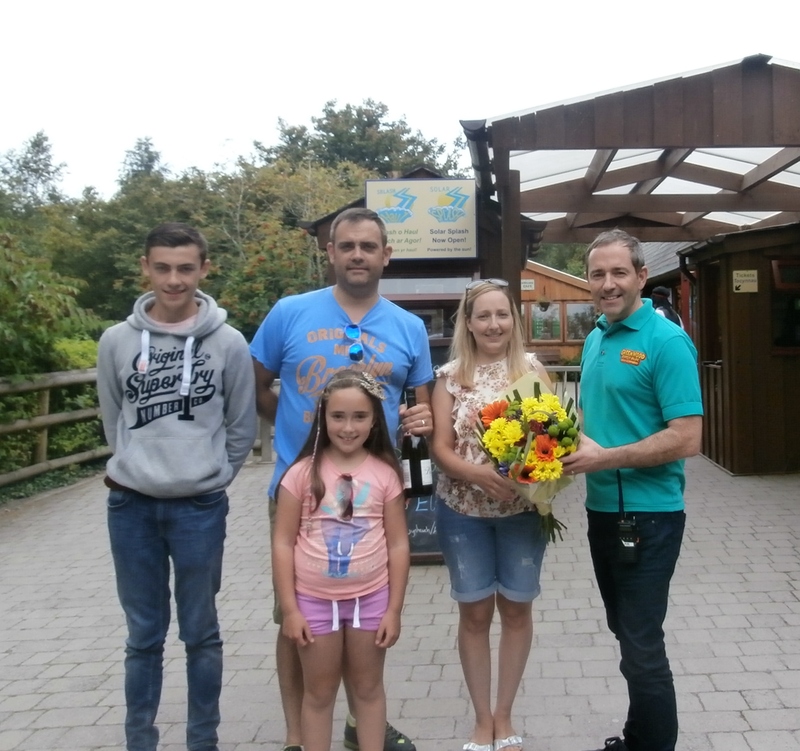 On Friday 5th August at about 12:30pm the Roberts family, from Bangor arrived at GreenWood Forest Park for an afternoon’s fun, to be met by GreenWood’s Visitor Service Manager Mark Rowlands who presented them with flowers and a bottle of bubbly. They were surprised and delighted to learn that one of them was the two millionth visitor to the Park. Their daughter Elan, 8, was most looking forward to trying out the Parks new ride SolarSplash. The well-known family attraction based in Y Felinheli, has seen a great start to the season with the opening of their new water ride attraction this year – SolarSplash. The major investment has attracted a lot of attention and has already been enjoyed by thousands of visitors since its opening at Easter. 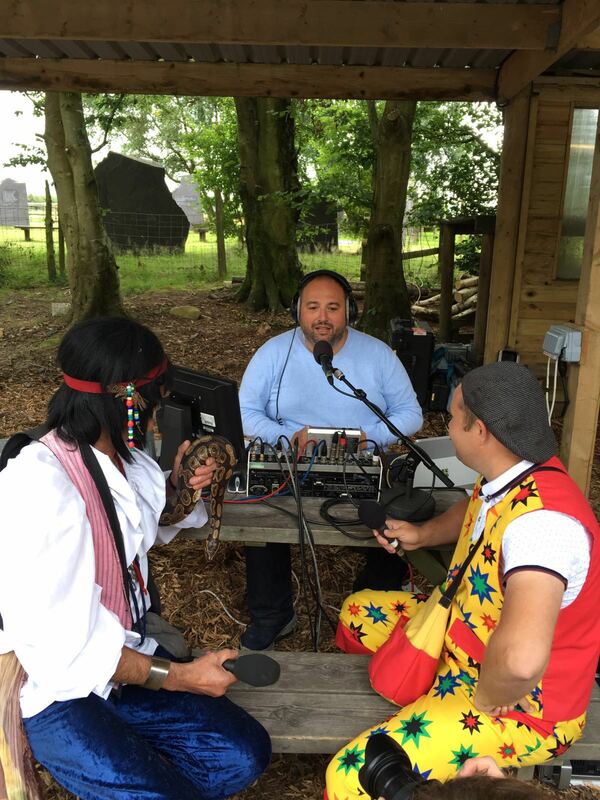 On Wednesday 10th August, BBC Radio Wales broadcast live from North Wales’ leading family adventure Park, GreenWood Forest Park. 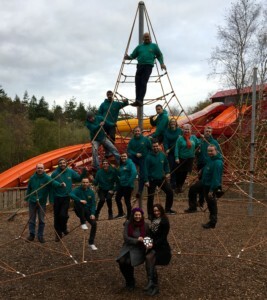 The popular Wynne Evans show which airs weekdays from 11am- 1pm recorded their show live from the Park as part of their summer roadshow where they will travel to various locations throughout Wales. Wynne, famous for the Go Compare Insurance television adverts spoke with visitors as well as park employees. He also joined in with the adventure by having a go on the Parks famous Green Dragon Roller-coaster and their new water ride for 2016- SolarSplash. 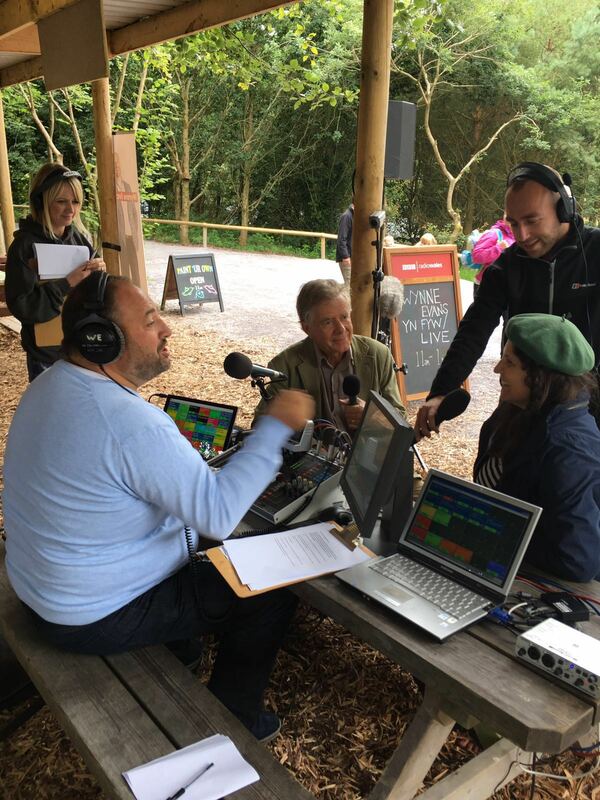 The Park’s Visitor Services Manager Mark Rowlands said “A live radio show was a first for us at GreenWood, it was great to have Wynne and the BBC Radio Wales crew at the Park.